Some time prior to the 2012 Warsaw Show Koen Vaessen emailed us announcing that he was almost ready with something really special which he would premier in Poland. 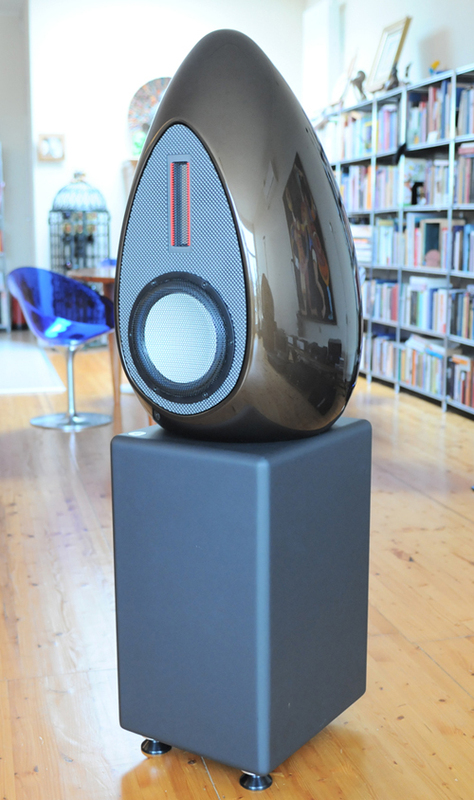 Since Koen is a habitual out-of-the-box thinker, it was no surprise that his latest speaker creation should again flaunt his signature frozen droplet or egg shape. The Galaxy Ultimate newcomer however is not a ported three-way like the previous Aquarius. The design also doesn't call for the Visaton titanium dome tweeter and older midrange driver. All that's left of the Aquarius is the structured wide baffle. For the Galaxy Ultimate the drawing board in Brasschaat/Belgium finally ended up with a modular two-piece design where a relatively small egg with the tweeter and mid/woofer in a sealed alignment sits atop a pedestal which houses the bass driver. The combination of pedestal and droplet give the Galaxy Ultimate an artful look and cleverly downplay its actual 140 x 50 x 50cm dimensions. From a little distance the loudspeaker looks deceptively compact. Only up close becomes its true size evident. Just like the Aquarius the Galaxy Ultimate may be finished in any automotive lacquer which is followed by several layers of clear coat for a mysterious shine enveloping the smooth curves of the speaker capturing reflections of its surroundings. Identifying the perfect drivers for his design wasn't easy and had Koen chase down many a dead end until he decided to contact Aleksandar Radisavljevic of Raal in Zaječar/Serbia. One very important design goal for the new speaker was a very natural impulse response combined with great horizontal and vertical dispersion all at the lowest possible distortion. Raal ribbon tweeters with their large but ultra-light surfaces and powerful magnets are known for their life-like impulse response and wide dispersion. 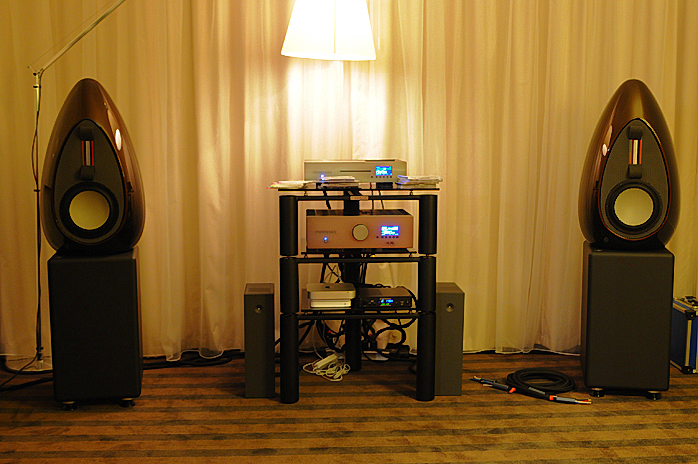 Koen’s choice of matching mid/woofer became a ceramic Thiel & Partner Accuton 8.5” unit. To optimize their drivers for Koen's vision, both companies were asked for custom versions. Aleksandar wound a tailor-made coil for his 104-15D tweeter whilst Accuton designed a custom basket and magnet for their ceramic diaphragm. The new basket is not only 2mm wider but much smoother and thinner than stock. Also to Koen’s requirements is a double-layer titanium voice coil to ease impedance matching. Either company added a Koen-designed grill for protection. 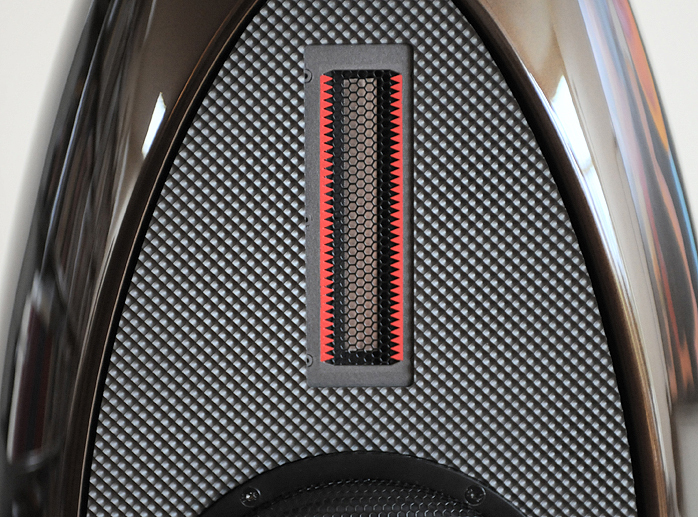 Once in Belgium the ribbon tweeter gets a red-faced edging on its signature saw-tooth dispersion control. 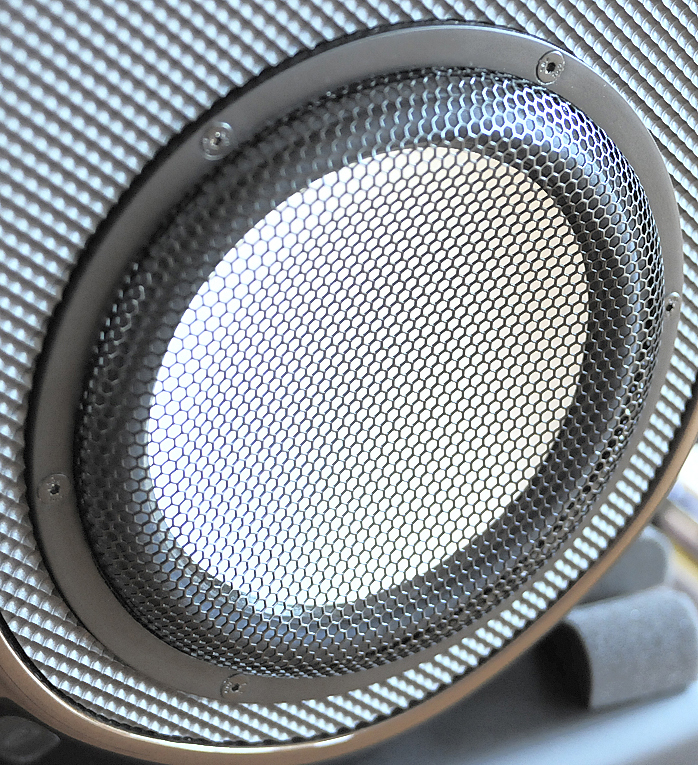 To match the extended treble response on the other end, the pedestal enclosure houses a 10” JL Audio sub-bass driver. Yes, that's the very same company which supplies many car-audio freaks with mega-potent bass weaponry.